Don Perkins: I am so blessed and honor to be a part of the ministries that Lamb & Lion Ministries have nurtured over the years. It is also because of Dr. David Reagan’s encouraging me to trust God to go full-time into the ministry that I am now in full-time ministry. 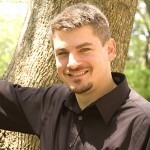 October 2012 will mark 15 years into full-time ministry. 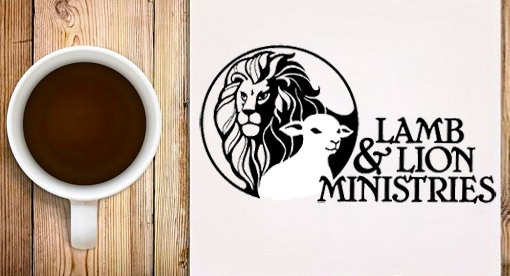 Lamb & Lion Ministries has been a source of encouragement, strength, knowledge, support, etc. that has helped According To Prophecy Ministries to proclaim God’s Prophetic Truth! 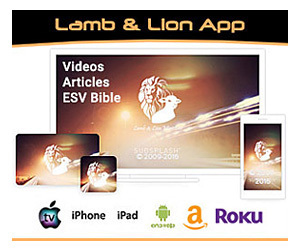 Lamb & Lion Ministries is a leader in ministry, TV, the Internet and in teaching the soon return of our Lord Jesus Christ. I pray the Lord bless Dr. David Reagan and Lamb & Lion Ministries with many more fruitful years of service. The Battle of Armageddon is a future battle that has been so misunderstood by the church and the world. Whenever there is a major event dealing with a bomb in Israel, the News Media always responds with a headline like: “Armageddon is upon us!” or “The world is coming to an end!” But, in fact, many have no clue as to the true nature of what this great battle actually is. The Battle of Armageddon will be a war of such catastrophic proportions, that nothing known to mankind can compare. Jesus Christ will attack and defeat Anti-Christ and his armies, resulting in monumental bloodshed and death in the land. This battle will take place in the prophesied geographic location, in the land of Israel, known as the Valley of Megiddo. This event will take place after the Great Tribulation Period, at the Second Coming of Jesus Christ, when He returns to set up His Millennial Kingdom on the Earth. The Smith’s Bible Dictionary, defines Armageddon as: (the hill or city of Megiddo – Revelation 16:16). The scene of the struggle of good and evil is suggested by that battlefield, which was famous for two great victories. The first is of Barak over the Canaanites (Judges 4 & 5) and the second is Gideon over the Midianites (Judges 7). Two great disasters, the deaths of Saul and Josiah (2 Kings 23:29-30; 2 Chronicles 35:22). Hence, it signifies in Revelation a place of great slaughter, the scene of a terrible retribution upon the wicked. (The Revised Version gives the name as Har-Magedon, i.e. the hill (as Ar is the city) of Megiddo. What does the term Armageddon mean? HAR-MEGIDDO – “a mountain or range of hills, Hill country.” “mount of slaughter.” Refers to the hills of megiddo. Megiddo – meaning “Rendezvous” Megiddon, a place in Israel. The definition of Armageddon gives us a clue as to what this battle will be like. We can see that it is a battle that will be fought in the valley of a mountain range of hills. It will be a place of great slaughter for those who are gathered there which will include being cut into pieces. It will also be a place where troops will be gathered, assembled and pressed in together. Armageddon will be a battle like nothing this world has ever seen. And what is so amazing is the fact that this battle will take place as a result of the return of Jesus Christ. At this point, I need to emphasize a very vital point in understanding this teaching. That point is that, without the return of Jesus Christ in his Second Coming, there will be no Battle of Armageddon. His physical return is the catalyst that starts this battle. The Battle of Armageddon is mentioned all through the Scriptures. However, you will not find the actual word Armageddon mentioned. Here we will examine verses in the Scripture that give reference to and allude to the Battle of Armageddon and the place where it will be fought. Now, we will see this great battle as it is mentioned in the Scriptures. These verses are key to understanding this great event. These verses tell us that the Battle of Armageddon will be like gathering grapes for the winepress. At the time of this battle, the ungodly will be gathered to the Valley of Megiddo and cast into the press to be judged by Jesus Christ. As grapes are trodden in a natural wine vat, so will the armies of Anti-Christ be trodden by Jesus Christ. The Scriptures here reveal the startling distance this battle will cover —1600 furlongs or about 176 miles. Here are some key points in Chapter 16 that I think are very interesting. First, we see the great river Euphrates will be dried up so the kings of the East or the Orient can easily pass through it. I believe at this time the armies of Anti-Christ are being prepared for the time of Armageddon. We also have these supernatural demonic spirits like frogs that will go throughout the world to gather men for the Battle of Armageddon. I will discussed these demonic spirits in more detail in another section. Here, in chapter 17, we see the prophesied end to the Battle of Armageddon. Jesus Christ will defeat the Anti-Christ and his armies. Anti-Christ is only given a short time to reign. His days of rule are limited to a seven year duration. One other important thing to note is that the armies that are with Christ are the Called, the Chosen, and the Faithful. Those who come back with Jesus Christ in His Second Coming will only be the redeemed. Here, in chapter 19, we see the complete picture of the Second Coming of Christ, resulting in the Battle of Armageddon. We see Christ coming in all of His wrath and glory with His army following Him on white horses. Jesus is pictured here as a man of war, judging in righteousness with the sword of His mouth. We see Him taking authority in the earth and removing the kingdom and reign of Anti-Christ. The Anti-Christ and False Prophet will be judged and eternally damned. All kinds of birds of prey will be gathered to eat the flesh of wicked men who perished in this battle. Armageddon will be like no other war in history. The Scriptures declare that men will mourn because of Jesus’ return. “From Bozrah to The Valley of Jehoshaphat. When will this Battle take place? Now, the timing of this great battle is crucial to understanding it. Knowing this will help to keep you from being confused by all the hype that the news media erroneously reports about the Battle of Armageddon. The scripture describes four specific time references that clearly frame the timing of this event. Where will this Battle take place? Another crucial key in understanding this Battle is to know where this event will take place. This is a geographical battle. Knowing this will help to remove a lot of false teaching. Some believe and have taught that Armageddon will happen here in America. This is so far from the truth of God’s word. This battle has been prophesied to take place in the Middle East in the land of Israel. The oval-shaped valley, also known as Megiddo, is now commonly known as the Valley of Jezreel. Megiddo is located near the point of entry into the Jezreel Valley. It is the most important passage through the Carmel range. It controlled the “Way of the Sea”. This important highway was the ancient trade route between Egypt and Mesopotamia. In addition to invading armies, traders from all over the world passed by its walls and probably through its gates. The Battle of Armageddon: A One Day Battle! This verse in Zechariah, alludes to the glorious event of when Jesus Christ comes and the circumstances that surround His Second Coming. This battle will not be a campaign that will last for several months or even days. He only needs one day to accomplish His mission. Think about it, this is the Lord of Lords and King of Kings who is fighting at this time. This battle will be precisely executed by the unadulterated power of the Lord Jesus Christ. The Scriptures declare that when Jesus return, He is coming in the power of His Glory. Who are the Armies and How will they get there? There will be two great opposing armies assembled for the Battle of Armageddon. The army of Jesus Christ who is coming back with Him out of Heaven. And the armies of the Anti-Christ, who will be supernaturally drawn to this battle. They will come from all over the world and be gathered together into the Valley of Megiddo. Let’s look at armies who will participate in this battle. The armies of Jesus Christ will be comprised of the Saints who were Raptured and the Angelic Host of Heaven. The armies of Anti-Christ will be comprised of the kings of the earth, bond and free. Many of which who have received the Mark of the Beast. This army will be a mass group of rebels who have formed an alliance with Anti-Christ. Now, we’ll look at how these armies will get to this great battle field. We know from our study of the Second Coming that the armies that are coming with Jesus Christ will be comprised of the Saints who were Raptured and the Angels of Heaven. The armies of the world will be gathered to join forces with the Anti-Christ. To see this gathering in the Scriptures we will have to dispelled a teaching that has been taught in the church for many years. In Luke 17:34-37, we find this phrase, “the one shall be taken, and the other shall be left.” I will go into much detail when we look closer at these verses. This text has been commonly attributed to the Rapture. In proper context it has nothing to do with the Rapture at all and everything to do with the Battle of Armageddon. Here is where we stop reading when it comes to this text. We have been taught that this is a Rapture text because one is taken and one is left. But we must go and little further and question Jesus, like the Disciples did and find out where those taken went? Let’s pick up the text in verse thirty-seven. This verse gives us a major clue as to what Jesus was giving reference to. Jesus is telling his disciples that those who are taken at this time will be taken to a place where their dead bodies will be eaten by the vultures. I believe that Jesus is giving a prophetic prophecy about those who will be gathered supernaturally for the Battle of Armageddon. Let’s look at other text that supports this belief. Here, Jesus is using the same text to let us know the timing of the events of Luke 34-37. He mentions that, at His Coming, the carcases of men will be gathered and eaten by eagles (vultures). 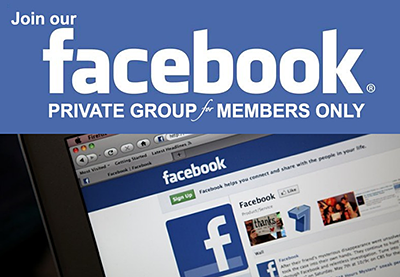 This event takes place immediately after the tribulation of those days. Here is a direct connection to the Second Coming and the Battle of Armageddon. Let us go a little further with the Scriptures to see it even clearer. Here, at the pouring out of the Sixth Vial Judgment in the latter half of the Great Tribulation Period, three unclean spirits will be released out of the mouths of the Dragon (Satan), the Beast (Anti-Christ), and the False Prophet. These are three demonic spirits. They are demonic spirits that are on assignment to go throughout the whole world the gather men for the Battle of Armageddon. I believe, at this time, the ungodly will be supernaturally influence by these demonic spirits and will be drawn to the place of Armageddon to join with the Anti-Christ to comprise his army. There they will be destroyed by Jesus Christ and their dead bodies will be eaten by vultures. Therefore, the context of Luke 17:34-37, has nothing to do with the Rapture. 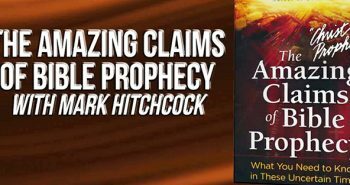 It is a prophecy of the ungodly being supernaturally gathered as part of the army of Anti-Christ for the Battle of Armageddon. Look at Revelation 19:17-18. At the Battle of Armageddon, Jesus is coming as a Man of War to judge the Anti-Christ and his armies. He will cast the Anti-Christ and False Prophet alive into the Lake of Fire. And, the remnant of Anti-Christ’s armies will be eaten by the birds of prey. What will the Battle of Armageddon Accomplish? The Battle of Armageddon will accomplish many things in the overall program of God. Below is a list or summary of what we have just seen in the Scriptures about this awesome event that will happen in the future. "No more lives torn apart… That wars would never start… And God would heal all hearts… And everyone would be a friend… And right would always win… And love would never end… This is my grown-up Christian wish…"
"Therefore wait ye upon me, saith the LORD, until the day that I rise up to the prey: for my determination is to gather the nations, that I may assemble the kingdoms, to pour upon them mine indignation, even all my fierce anger: for all the earth shall be devoured with the fire of my jealousy"-Zechariah 3:8. "And it shall come to pass, that in all the land, saith the LORD, two parts therein shall be cut off and die; but the third shall be left therein…And I will bring the third part through the fire, and will refine them as silver is refined, and will try them as gold is tried: they shall call on my name, and I will hear them: I will say, It is my people: and they shall say, The LORD is my GOD"-Zechariah 13:8,9. For some reason, I have always believed there were 2 wars.. one before the 1000 year reign and then the last one when the devil is released from the pit. The last one I thought was when the nations tried to come against Jesus.. the first one I thought was when Russia and all nations came against Israel and God took care of them to show he still was there. The Battle of Gog and Magog of Ezekiel 38/39 precedes the time of the Tribulation. This battle involves Russia, Iran, Turkey and many other nations as they are gathered to the borders of Israel. Once gathered by the hand of the Lord, the Russian leader of the Gog/Magog confederation will think an evil thought to invade Israel. It will be at that time when the fury of the Lord God is poured out on these invaders. The Battle of Armageddon occurs at the end of the Tribulation in which the Lord gathers all nations into the valley of Jeshoshaphat to judge them there. Once the battle has ended the Lord will establish his throne in Jerusalem and gather all Israel unto himself and consumate the Kingdom Age or Millenial reign! There is yet another battle after the 1,000 year reign of Christ when Satan is loosed, he will go out and deceive the nations to make war against the Lord and his Saints yet he will quickly be routed and cast into the Lake of Fire! It is identifed or termed as Gog/Magog simply because of the multitude that will seek to overthrow the rule of the Lamb of God, Yeshua our Lord! Thanks, that is what I thought.. Also one more question.. will we be gone before the 1st war. Are there any more signs that have to be fufilled before Jesus comes to redeem the Church. Anonymous, I sincerly believe that we will remain here for the first battle known as Gog/Magog of Ezekiel 38/39 simply because the conditions suggest a transition from the Church to Israel in the aftermath of this great battle where the Lord God will reveal his glory to all nations and to his people Israel. Ezekiel 39:29 clearly identifies with this transition as the Lord God will pour out his Spirit upon the house of Israel in fulfillment of Joel 2:28,29! Israel will remain the focus from that point on! I further believe this will be when the 144,000 Jewish evangelists will be selected and sealed to preach the gospel of the kingdom to all nations. I realize that some scholars point to the fact that the Church is not subject to wrath, therefore we can not be here as God sends out his fury upon the Gog/Magog confederation, yet the scriptures reveal this portion of wrath is set upon a select group of nations not all nations! 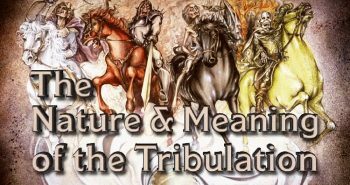 The Tribulation will begin soon after this battle is completed, this of course will be that time of wrath also known as the Time of Jacob's Trouble. The Gog/Magog battle of Ezekiel 38/39 will bring about the precise circumstances for the construction of the Third Temple, the gathering of all the scattered of Israel, and the rise of the AntiChrist to power to challenge or oppose the redemptive plan of God for his people Israel and the establishment of the Kingdom. Anonymous, as Christians we can see the world and even much of the Church falling into deeper depravity with increased immorality, we also hear the fables being preached from the pulpits today. We see a visible rise in violent storms, earthquakes, famine, and pestilence! We therefore can identify that the time of wrath approaches in which the Lord God will judge all nations and establish his throne in Jerusalem! Observing these things, we know that our time is short yet we must continue to do the work that the Lord has commissioned us to do, to preach the gospel, to share the good news of Christ, today is the day of salvation…! Our day of gathering in the clouds of heaven with the Lord is very near and though we are troubled daily by circumstances in our lives, soon we will know joy unspeakable! I think that is the reason I am reading everything I can on the Rapture.. I read Rapture Ready all the time. I can see all the prophecy happening right before my eyes.. America will soon be taken over by our enemies.I feel but hope not. I am not worried for myself, since I know where I am going, but I know there are people I love that don't. I know the only way to heaven is through Jesus.. also I know we are the church,,not Israel. I know that God never changes and what the Bible says, it means. Just wanted to let you know I know the Bible and when something is wrong, I know it. I have never read anything in Rapture Ready or Lamb Lion That I haven't agreed with, except one was stating that Hagee, whom I watch every Sunday, doesn't believe that Jesus didn't come as the Messiah, that he came as a savior. When in reality, he has said that the Jews thought he would come and rule. when at that time he came to die on the cross for our sins. So in reality, that is true.. he came to die on the cross as a savior, but when he comes back, he will be the messiah and ready to do battle. Anon, perhaps the misunderstanding is that many people use the Hebrew word "Messiah" and the Greek equivalent word "Christ" without knowing that both simply mean "Annointed one". This was but one of many terms that were used in the prophecies to point Israel and the world to the coming of God's "Servant", the "Holy One". John recognized Him as the Annointed, the Holy One of Israel [John 1:29], and immediately after His baptism and temptation He began to do all the predicted signs and wonders that would be the confirmation of who He was: The "Deliverer", the "Savior-King" of Israel. In Luke 4:16-22 He presented Himself as the Annointed to the people in the synogogue in stating "…This day is this scripture fulfilled in your ears." However, they were very much stymied by Him closing the book without reading their favorite part Isaiah 61:2(b), the vengence on the Gentile nations, since they could not have known that that prophecy was reserved for His 2nd Coming. Matthew 21:9, "And the multitudes that went before, and that followed, cried, saying, Hosanna to the son of David: Blessed is he that cometh in the name of the Lord; Hosanna in the highest." The rulers of Israel rejected Him because He wasn't building an army to "deliver" them 1st from Roman rule and then to subdue the Gentile nations of the world for His prophecied kindom. They weren't interested in being delivered from their sins, money, and positions of power. So He was in His 1st and will still be Anointed, Holy One, King, Savior, Deliverer, at His 2nd Coming. Thanks for responding to my questions. I appreciate it. I wasn't sure if there was a pre Rapture, I knew there would be one because the Bible said so, but wasn't sure when. Since then, I have read all the prophecy books and also read on internet different thoughts. I always read the verses that are shown in any thing I read. Someone sent me the link for the blue letter Bible. http://www.blueletterbible.org/Bible.cfm. I would keep that up also and read the verses before and after also. I also checked Google when the prophet I was reading named a city in the prophecy to see what happened to them. I was really checking to see what prophecies needed to be fufiled before the return. Lots of ministers state that nothing has to happen, but as you informed me Damacus still has to fall, and the way it looks now It could be anytime.. As one of the writers on Rapture Ready says You can almost hear the footsteps of the Messiah!!!! 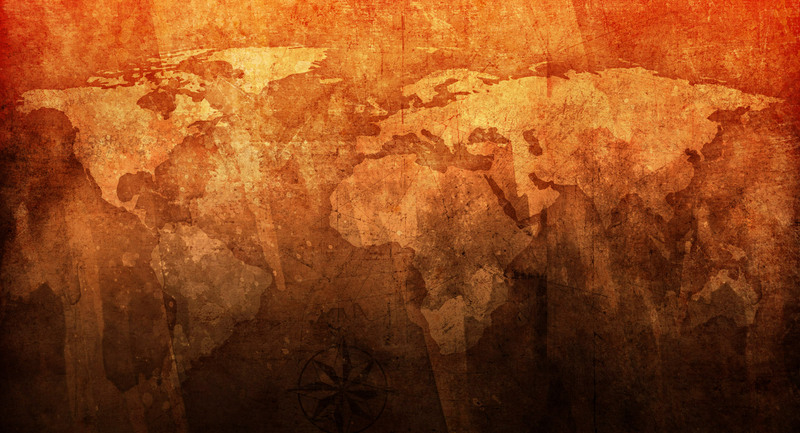 Anonymous, due to the supernatural nature which God personally wins the Gog-Magog Battle, and the refocus on the Church, I believe the Church will have already been raptured before the First Gog-Magog Battle (see Timing Gog-Magog for details. Thats a great article nathan! I think we will be outta here right before…. at least i pray we will! I have read in the Bible something to this effect, that God gathers the last gentile and then he returns to Israel.. but I can't find it now.. I could have read it in any version, because with The Blue Letter Bible there are different versions.I know Acts 15 verse 14 says: "Simeon hath declared how God at the first did visit the Gentiles, to take out of them a people for his name." But I am sure what I read stated.. after the last one was delivered..or something like that..
Would you be familiar with the verse that stated that? Anonymous, you thinking of Matthew 25 concerning the Sheep-Goat Judgment, were after Christ's victorious return He gathers from the world all of those whose who survived the Tribulation for a judgment? The unbelieving "goats" are sent to Hades and the believing "sheep" live on into the Millennial Kingdom.